Guardian Hails Chinese Economic Problems as "Peak Coal" | Watts Up With That? Guardian Hails Chinese Economic Problems as "Peak Coal"
The Guardian is celebrating that according to official figures, Chinese coal consumption fell in 2014. But is this fall in consumption structural, or is it simply a symptom of China’s growing economic problems? Study by economists say achievement by world’s biggest polluter may be a significant milestone, rather than a blip. The global battle against climate change has passed a historic turning point with China’s huge coal burning finally having peaked, according to senior economists. They say the moment may well be a significant milestone in the course of the Anthropocene, the current era in which human activity dominates the world’s environment. China is the world’s biggest polluter and more than tripled its coal burning from 2000 to 2013, emitting billions of tonnes of climate-warming carbon dioxide. But its coal consumption peaked in 2014, much earlier than expected, and then began falling. The economists argue in a new paper on Monday that this can now be seen as permanent trend, not a blip, due to major shifts in the Chinese economy and a crackdown on pollution. The team’s analysis, published in the Nature Geoscience journal, concludes that China’s coal peak “may well be an important milestone in the Anthropocene and a turning point in international efforts to [cut] the emissions of climate-altering greenhouse gases”. 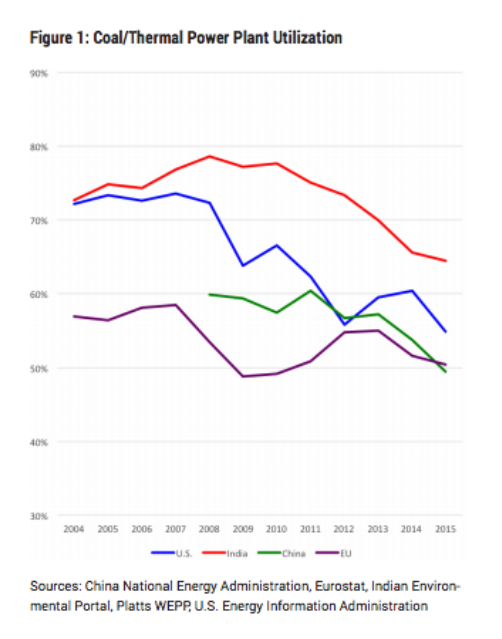 Slowing GDP growth, a structural shift away from heavy industry, and more proactive policies on air pollution and clean energy have caused China’s coal use to peak. It seems that economic growth has decoupled from growth in coal consumption. The problem with the claim that growth has decoupled from coal, is China currently appears to be on the verge of a debt implosion – all that “growth” may have been an illusion created by the excessive availability of cheap credit. John Burbank, the hedge fund manager who in 2015 warned of a China-led global economic slowdown, said he expects a “major” Chinese currency devaluation and a U.S. recession within the next year as debt levels rise and central banks are stymied on monetary policy. China will enter a liquidity crisis with the largest sum of non-performing debt in the world, Burbank, the founder of $4.1 billion Passport Capital, said in a May 5 investor letter. The U.S. economy will contract at a time when the Federal Reserve has the fewest options in history to cut interest rates, he said. Burbank, who bet against U.S. housing a decade ago, is among the U.S. macro investors to sound the alarm on global markets. Billionaire Stan Druckenmiller said last week that the U.S. equities bull market has “exhausted itself” and George Soros contends China resembles the U.S. slump of 2007-08. Sluggish global growth is calling into question the effectiveness of central-bank stimulus especially in the U.S. where investors are concerned the Fed will be slow to tighten monetary policy. How did this disastrous situation arise? China seems to have been running its domestic interest rates way too low, for a very long time, which in turn appears to have created the mother of all asset bubbles. In a low interest rate environment, people who make bad decisions don’t lose their shirts, they just borrow more money. An illusion of economic growth and prosperity, built on the back of the personal savings of China’s workers. China might be growing itself right into a bubble. Based on Friday’s GDP report, which came in at 6.7% for the first quarter, it seemed that the country is growing at the pace many expected (depending on what you think of the country’s statistics). The problem, however, wasn’t the headline number but instead the way that the country grew, according to Wei Yao and Claire Huang at Societe Generale. Nowhere is this asset bubble more apparent, than with the Chinese “ghost city” phenomenon. When a Western asset bubble goes too far, an obvious symptom is deserted housing estates, built by over optimistic developers endowed with an excess of easy credit. China has gone one better – they have been building entire cities which nobody wants. IT WAS created and hailed as a bustling city utopia with glistening buildings and state-of-the-art facilities. But more than a decade after the northern Chinese city of Kangbashi, Ordos, was built and open for people to move in, it remains mostly vacant. When the Chinese Government built the inner-Mongolian town of Kangbashi, a district of Ordos, it estimated it could accommodate well over a million people. However, just 100,000 or so moved in, which today results in an urban ghost city, an “urban failure” considering its billion-dollar construction cost. All this information is publicly available – economists have been warning of Chinese economic imbalances for years. But greens seem so desperate to see evidence of “decoupling”, between coal and prosperity, in my opinion they are happy to gloss over substantial evidence of severe economic problems and a credit driven mirage, to claim their “decoupled” success. July 25, 2016 in Coal. Did they miss the recent decision to halt windmill production/install entirely by China? Did they miss India’s plans? Being Lord Stern is a mental disorder. He would be in Bethlehem if Grantham was not paying his way. Seems like The Guardian might be having financial troubles. I wonder how many people are actually paying attention to them. Wait a couple years, when the Brits and Germans (and everyone else) discover they can’t run economies on solar and wind. The construction of coal power stations will sky-rocket. The Germans have known for years that the industry would collapse, if they had to pay for intermittent birdblender electricity. German troubles with ‘birDblenders’, OK! Nontheless they again will vote for Kuehnast, Gabriel and Merkel – to already sink the flying Dutchman. China coal capacity factor is dropping. They have the plants to burn almost twice the coal they are currently burning. Under realistic assumptions the coal plants being used at under 50% capacity should be operating in the 70%-80% capacity range. Further, India is the fastest growing coal consumer in the world. India by itself is increasing consumption by 1.5-2% of global consumption annually. Global coal consumption 10-20% higher than today seems inevitable. People keep referring to these guardian articles but they don’t seem to make a lot of sense. Could someone post a link to a Guardian article where the author knows what he is talking about or at the very least makes sense? The Guardian doesn’t print articles where the author knows what they are talking about. The few readers they have left and their friends at the BBC would object to reading articles that contained knowledge. The Guardian is read to re-affirm your left-wing beliefs. Yes. The new policy is to avoid exactly this. Says the man as he passes the 10th floor on the way down. The Chinese have various internal economic and political problems, and a system that makes a solution difficult. The Communist Party is running a crony-capitalist system, and those usually end with a crash. The entire solar/wind fiasco is based on crony capitalism, as is the military-industrial complex. So don’t feel alone out there in Illinois. There is no such thing as a crony-capitalist system, capitalism abhors cronyism. The socialists/statists have popularized that statement in a (fairly successful) attempt to make capitalism look bad. In reality there is only cronyism, of which the socialist/statist systems specialize in (see Obama’s rampant cronyism). After all that is their fundamental obsession and any ‘success’ must show up there first. That was the 4th of November 2015, just before ‘Paris’. When China overreported (yes, overreported) the consumption of coal just before Paris with a 17% and said in Paris that they don’t raise the use of coal before X with more than Y tons, they can have an official standstill for years and still use any year some percent extra until they are at the +17% level. In the meantime ‘no official growth’ at all…… They can even officially go back in consumption without burning less. Alarmists happy, Paris OK, the Chinese warm. These global warmer climate articles are amusing and interesting. It is like someone from another dimension where the laws of physics work differently was giving their viewpoint. India is ramping up coal consumption. China is building a lot of new nuclear and replacement (cleaner/more efficient) coal power units to stop its citizens from choking to death. China has more coal fired capacity than ever. Economic conditions are why coal consumption has plateaued (capacity factor is down). It really depends on whether we have a cold winter and whether China’s economy rebounds. If the La Nina (which causes the Chinese winter to be about a degree colder on average) comes in with a vengeance, we could see an all time coal burning record. China is planning a lot of coal and nuclear generation in the third world. This is sort of win/win, China burns coal to build the plants and the plants (at least the coal fired ones) burn coal after they are completed. The peak coal victory dance seems a little premature. I don’t understand the green’s antipathy to fossil fuels. Greens haven’t articulated a rational reason not to burn coal. Coal is pretty and smells nice. Digging for coal produces big holes that could be used as emergency shelters. Coal is a cheap source of energy that makes plants grow faster. I like your logic, here. Germany and Eastern Europe all have new coal-fired plants building with more planned. When a train full of coal falls over, the coal lays there until someone picks it up. Much better behaved than oil. $465M spent orbiting a satellite to accurately measure atmospheric CO2 and after 2 years of data all is silent on the project. Must have uncovered some inconvenient truths that would torpedo the AGW narrative. The data doesn’t match the models. Apparently there is a pretty big discrepancy between the data and models. It sure would be nice to have more presentations and animations on the OCO2 data. OCO-2 is in the A-Train. This satellite constellation has a 98° polar orbit. There is an 8° circle around the pole they don’t capture. But any data or depiction should should effectively show the whole planet. It is a little puzzling the OCO-2 has a computer model video on their front page instead of a video based on the daily data. China has been building and completing nuclear plants at a steady clip. Nuclear prosperity are compatible with each other. 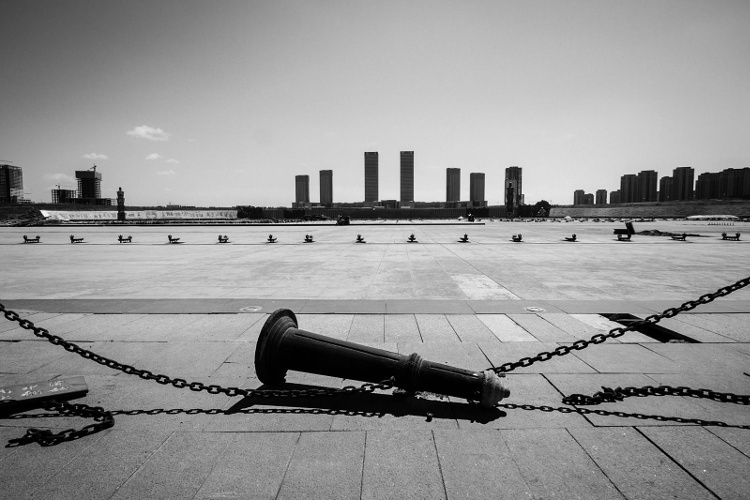 Interesting, especially the article on Chinese “Ghost Cities” — I had no idea. In the old Soviet Union there was a similar pheneomenon called “instant ruins”, but on a much smaller scale. It was the quality of construction that caused the “instant ruins” in the Soviet Union. Some of the Chinese cities look really nice. Plenty of ghost towns in Europe too, courtesy of the EU. Leave it to Guardian to celebrate economic misery as climate improvement. Sort of sums it all up. Not everyone thinks the Chinese economy will crash. What most people don’t understand is that China has a huge rural population which has not, as yet, enjoyed the fruits of the country’s economic expansion. link If the Chinese government can tap that unused resource, the economy will continue to expand for another couple of decades. In other words, China hasn’t even picked all the low hanging fruit yet. If you want to know how China’s economy is expanding within the country, look at the penetration of Starbucks. When Starbucks comes to a city it means the middle class feels rich enough to buy some luxuries. At some point, China won’t need the American market because its potential internal market is so large. This assumes they don’t mismanage their economy…as they seem to doing. To me, it seems as if they are trying to externalize their issues, it’s all the Americans fault or somebody else’s fault, not ours. Hence the 9 dash line in the South China Sea and the ratcheting up of tensions and militarization. It is true that China is developing a domestic market. I doubt that the domestic market will bring the growth rate back to the levels that China experienced in the 1990s and 2000s. China’s coal and steel industries were building for a continuation of the growth rate of 10-12% per year. 2007 steel production was 229 tons and 2014 production was 420 tons. In 2015, the steel capacity grew further. Even had the growth rate remained over 10%, Chinese steel supply would have overshot steel demand. Since the growth rate has dropped to below 7%, China has a huge excess supply. Since much of China’s coal production is for steel making, both coal and steel was being produced with no market. In March this year, the Chinese central government announced a substantial reduction in coal and steel production which will mean laying off 1.8 Million people. This is the misery that the Guardian described as the “global battle against climate change has passed a historic turning point with China’s huge coal burning finally having peaked.” They forgot to mention the human cost of this great climate change victory. I think your steel production figures for 2007 and 2014 are off by a few orders of magnitude. I suspect there should be six zeroes after the production numbers, maybe even nine. You are correct. The units were meant to be Millions of tons. My spreadsheet was correct, my reading was amiss. Sorry about the error. By pursuing a more concentrated urbanization path guided by action to boost urban productivity, China’s local and national policy leaders would minimize the pressures and maximize the economic benefits of urban expansion. If current trends hold, China’s urban population will hit the one billion mark by 2030. In 20 years, China’s cities will have added 350 million people more than the entire population of the United States today. By 2025, China will have 221 cities with one million–plus inhabitants—compared with 35 cities of this size in Europe today—and 23 cities with more than five million. Any time the growth of an economy (or lack of growth – or change in growth) is measured in money there is a great danger that the assumption is made that that metric is unchanging. Ie, the value of the money is unchanged. The recent real estate bubble the US just experienced shows what happens when the assumption is NOT true ie the increase in ‘worth’ occurs merely because more money is made available. It is a kind of inflation not seen in the normal inflation statistics. It is very possible this is exactly what is happening in China. More ‘money’ being used to measure so called growth than actual wealth generation can support. Thus part or all of the supposed growth may not be ‘real’. If anyone is interested this is the point of trough coal. It will never be worth less going forward. Yes, and the U.S. hit peak oil consumption around 2007 because of the economic recession but has been slowly recovering ever since. Oil production, on the other hand, has gone up drastically because of fracking. China will probably follow a similar pattern with coal as their economy recovers, unless they find a cheaper source of energy than coal in the meantime. I suspect India and Africa will be happy to buy a lot of that coal in the near future. Maybe its the one child policy, (which has only recently been lifted), that is showing in the coal consumption figures. It’s almost like how our carbon dioxide emissions dropped when we entered the recession in 2008. I guess economic contraction is good news to some people. As the Chinese build more efficient coal plants called supercritical water plants, also called “clean coal” if you remember that term, the operation at higher efficiency reduces the demand for coal by these plants. My understanding is that most to all new plants are of this type. Then there is coal production versus coal consumption. As more coal is imported to meet demand, and the coal has higher energy content, this would reduce production numbers, or stall it. Local consumption data may not break out domestic prodution versus foreign coal imports. You simply repeated the meme. You’re infected and don’t even know it. We’ve got one here ripe for quarantine. Don’t worry Griff, it’s only the downturn of the global economic cycle, it’ll come back up again soon. And the positive effect of Brexit on the British economy plus Trump in the White House will give it a big boost. Then it will be back to business as usual, fossil fuel use – particularly coal – will ramp up nicely. So do like Buffet and get those shares bought while they’re cheap! A topsy-turvy mindset produces a topsy-turvy perception of the real world. Analysis is better left to the psychiater. It is worth noting that steel output in China actually dropped by 2% last year, having doubled between 2005 and 2012, according to the World Steel Association. Not only does this directly impact on demand for coal, it is also strong evidence that other power hungry industries, that use the steel, are also struggling, such as construction and heavy manufacturing. My view is that the Chinese economy has basically stalled. In addition, most advocates don’t know the difference between cleaning up the capitol city with a few point source emission sources and national-scale energy policy. They can be fooled all of the time, as the one exception to the rule on public awareness. I can’t find any reference to the International Commission on Stratigraphy having defined the ‘Anthropocene’. I guess these people – and Lord Stern is a classic example – are just so full of themselves they think accuracy doesn’t matter. Stern and Gore – and a few others I could think of – would make it necessary to define a ‘Self-enrichment-pocene’. 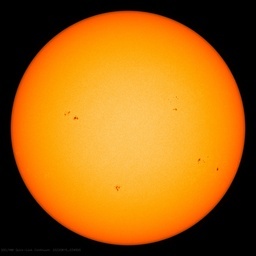 I suspect they are trying to line themselves up to take credit for any cooling that happens in the near future. Exactly, MarkW. These charlatans are well aware a cold phase is coming. They will be more than happy to claim that as a CSF of all the crap they have purveyed as being what the world needs to do to cool down – whether or not it works. They just want the chance to be able to say: “We need more of (whatever) to keep the owrld safe for our grandchildren”. And all so they can keep enriching themselves.